Oak trees are majestic and outlive humans. Other ranging in heights from 38-60 feet in height. The majestic oak trees are very sturdy, and the roots go straight down in the soul to prevent any harm when planted near concrete, patios or home's foundations. Oak Trees need to be planted in open areas with a lot of space to grow to their mature size. These type trees are slow growers, but with ample fertilizer and some TLC, they will surprise you how fast you will have a beautiful tree in just a couple seasons. The red oak is one of the most important of the Timber trees. It will reach to heights of eighty feet and will be two to three feet round when fully grown. The red oak is the hardest in the Gulf Coastal Plains. The Pin Oak is native to the Northern American region. The pin oak is of medium size, growing to about seventy feet tall and has a very short lifespan. This tree will give off a strange skunk-like odor and have many acorns on it. The willow oak is an ornamental tree that many people have their yards for a show. The willow oak will need full sunlight and can be grown in many different types of soil. It will reach sixty feet tall and be about thirty foot around. The willow oak can be grown from the north all the way to the middle south of the United States. The Chestnut oak tree is not a very large tree, only reaching heights of sixty-five feet due to the ridge top exposure and its dry habitat. The Chestnut oak is native to the Eastern United States. 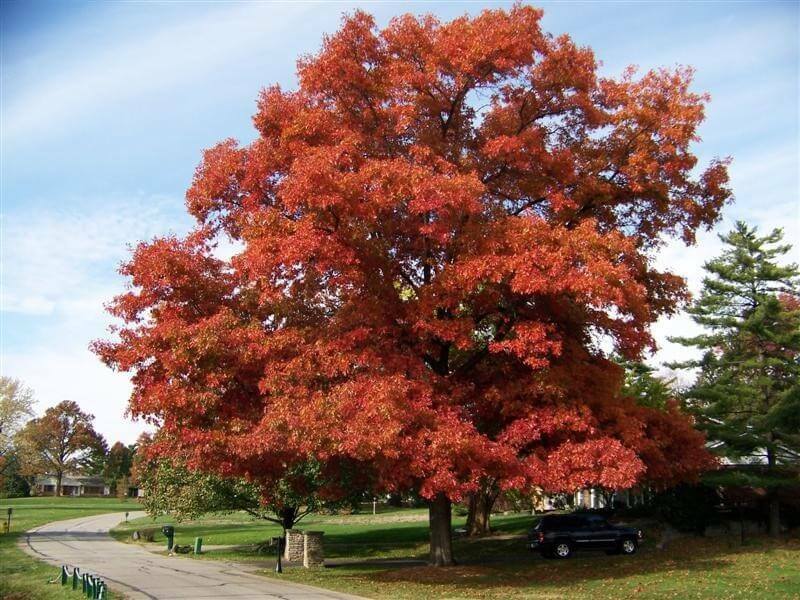 The Northern pin oak is native to the northern Midwest United States. The Northern Pin oak grows mostly on clay and very moist soils. This is a medium-sized tree that will only grow to about sixty-six feet tall.The Swamp Chestnut oak tree is typically mistaken for the Chestnut tree, but it is a more significant tree coming in to be a height of sixty-five feet tall at full maturity. The Swamp Chestnut oak tree acorns are abundant and are typically very sweet. It grows very well in the North Eastern United States to the middle southern United States. The white oak tree is a large tree that grows to be one hundred feet tall, and the trunk can be four foot across. The White oak tree has male and female flowers on it that are very pretty to look at. This tree grows best in the Eastern United States. Swamp White oak tree is mostly in the Mid Western United States. The swamp white oak tree will grow up to sixty foot tall and needs full or partial sunlight. Cherry Bark oak tree is found in the Coastal plain regions of the United States. The Cherry Bark oak tree will reach heights of one hundred feet tall with a diameter of four feet. 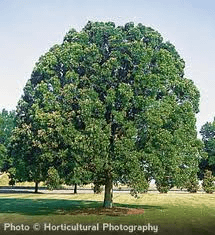 The Chinkapin Oaktree is a medium to a large sized tree that will be fifty feet high and can be grown best in the northern to midwest united states. The Chinkapin oak tree is a beautiful tree. The black oak tree will grow to be seventy feet in height with a diameter of 2 feet. The black oak tree can be grown in the western prairies. The Post oak tree is a medium tree with a short trunk. The Post oak tree is found in Texas and will reach heights up to fifty feet tall and a diameter of two feet. 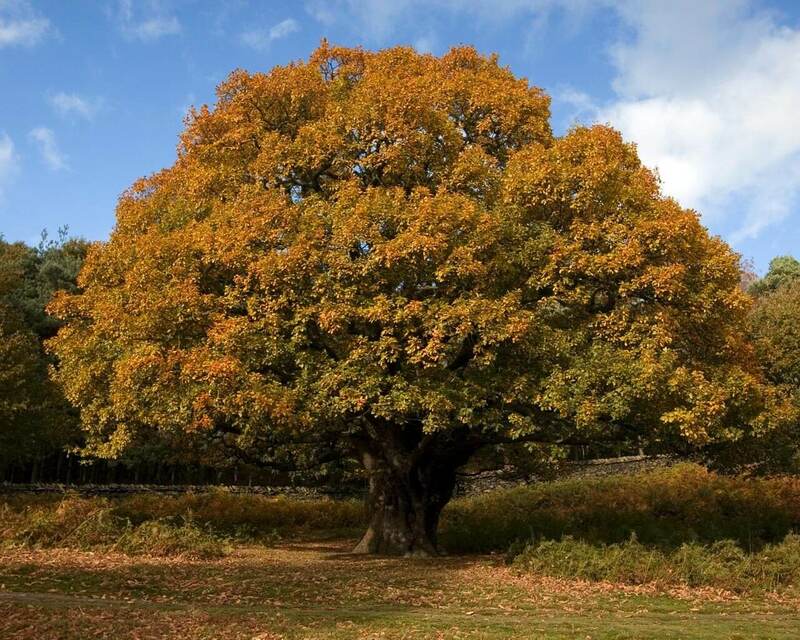 The Shumard oak tree is one of the largest of the oak trees that reach heights of 115 foot tall and a diameter of 39 inches. The Shumard oak tree is found mostly in the Atlantic Coastal Plains. Water Oak tree is grown best in the South Eastern United States. The water oak tree can grow up to 100 feet tall and have a diameter of three foot.